“I am a strong believer that we are all kids of the universe”, says 26-year-old Dutch-Indonesian artist Perrine Philomeen. Working under the evasive pseudonym ‘Kids of the Universe’, Philomeen continues, “I refer to the universe because it is for me a place of hope, where everybody can find happiness and where everything is possible”. Philomeen grew up in the diverse, multicultural community of Rotterdam. 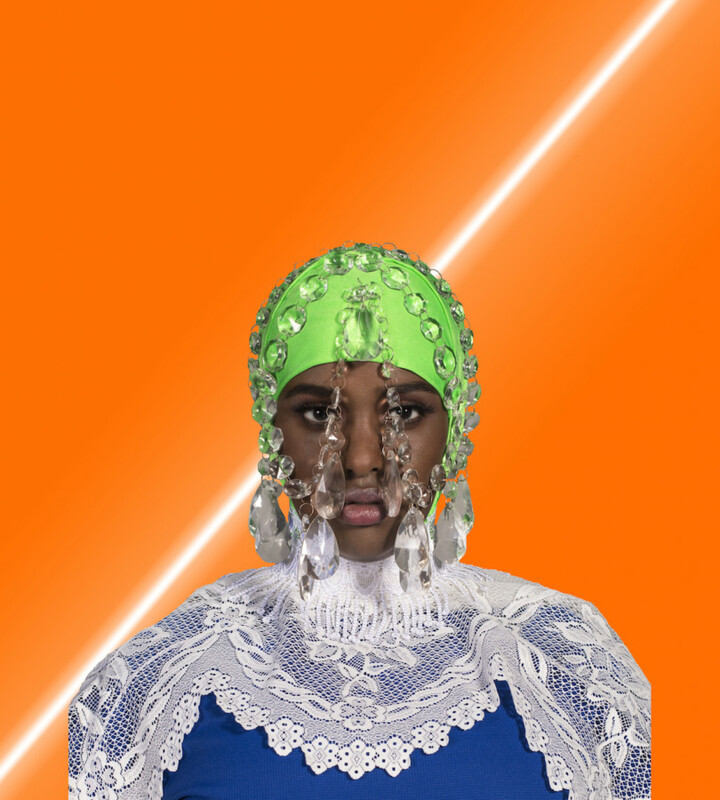 And as part of a new generation of European—but globalized—image-makers, she has made it her mission to challenge the white hegemony that has dominated the industry by representing a wide spectrum of race. 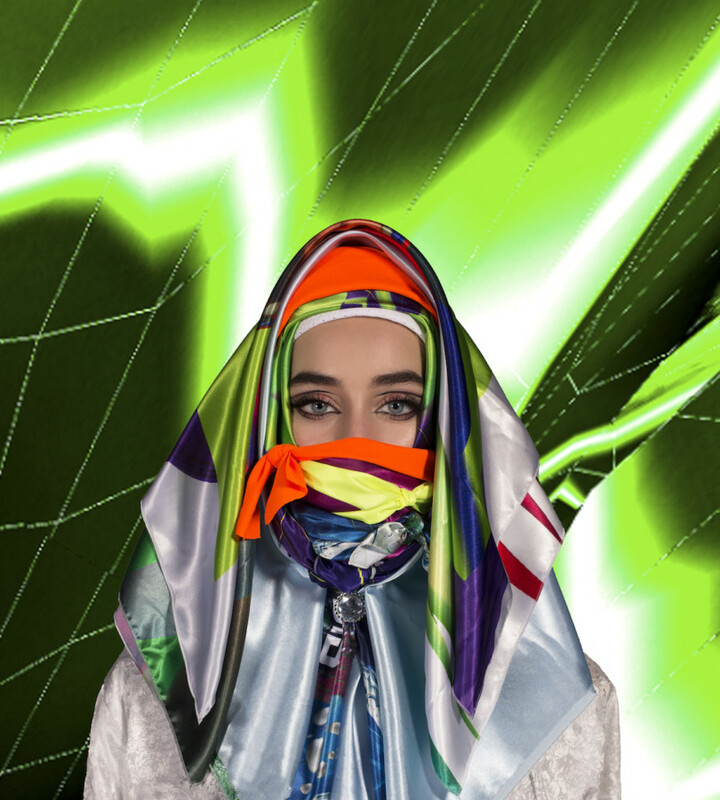 With her latest project Hijab in Transition, she hopes to eschew mainstream and discriminatory narratives around hijabis and ultimately, redefine beauty beyond the conventional standards imposed by Western societies. “I was in Jakarta visiting local friends in 2013. We were dressing up and I randomly wore a scarf around my head. To my surprise, they all told me I looked so beautiful with it on”, says Philomeen referring to the moment that made her realise how much she grew up biased by Eurocentric beauty standards. Following this trip, she met a young hijabi back home, who was wearing a black scarf with a black Adidas cap. “I found the combination so fascinating”, she recalls. 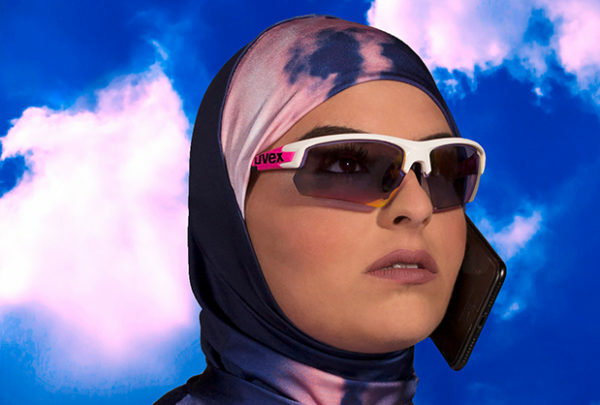 Over a few months, Philomeen became obsessed with the hijab and started doing a lot of research around it, deconstructing her one-dimensional definition of the Muslim veil. “This is when I found out about the hijabista movement”, she says. 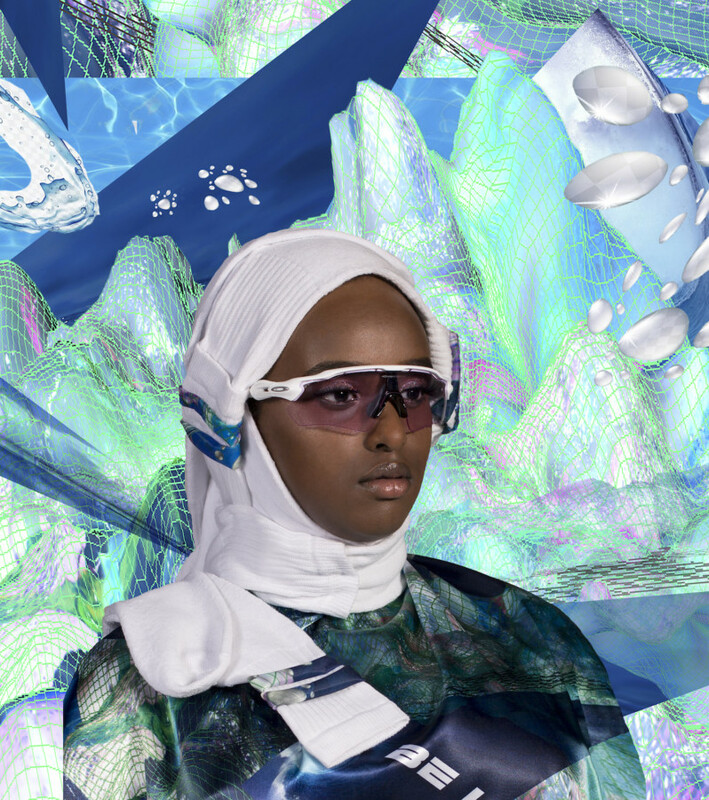 Although hijabi models are slowly starting to emerge in the fashion scene, Muslim women are still a demographic mostly invisible in the media and fashion. 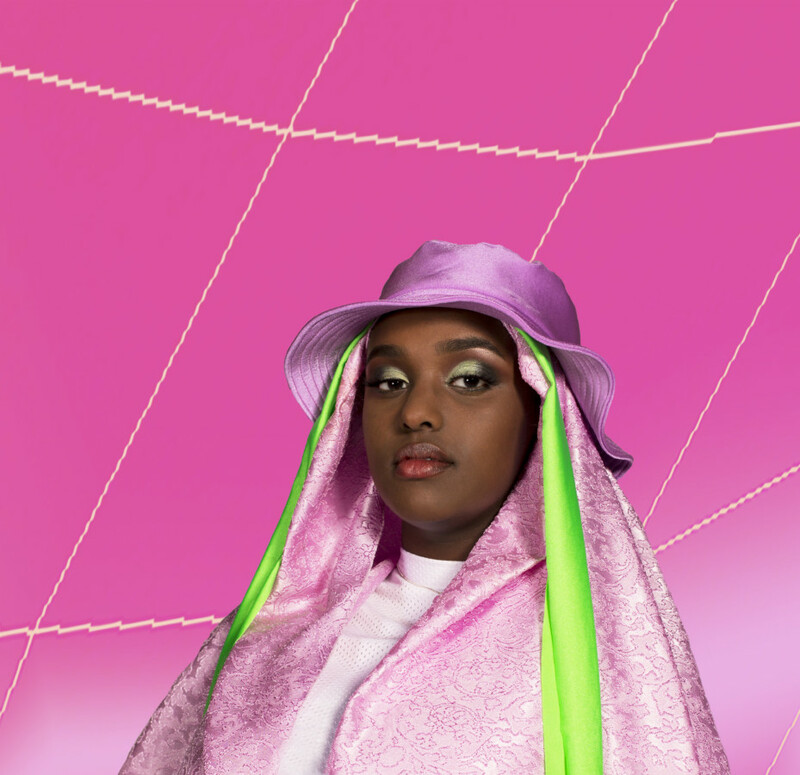 With her futuristic and fluorescent series, Philomeen hopes to move away from traditional debates around hijabis by putting a spotlight on young boundary-pushing, self-empowered hijab-wearing women, who refuse to be exoticized. 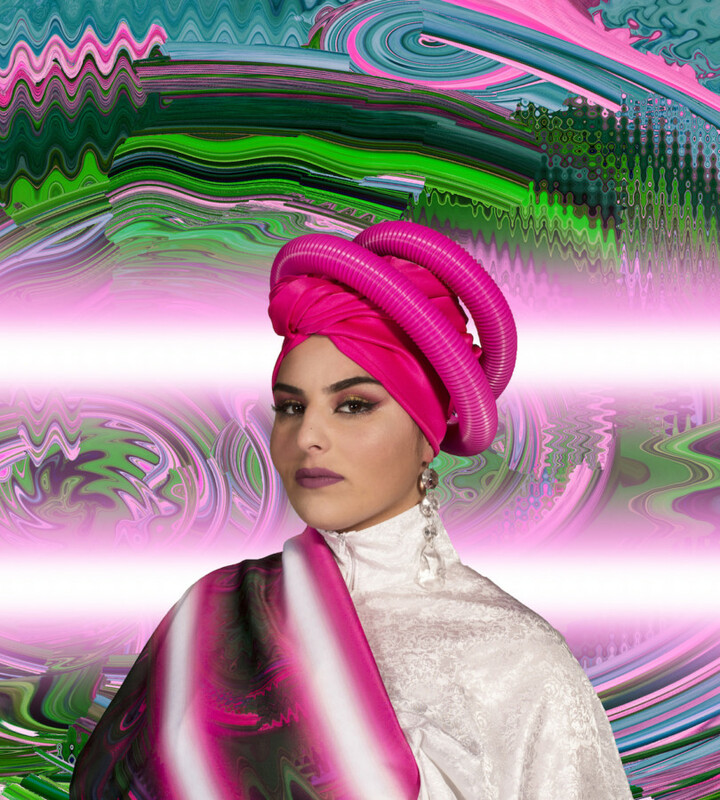 “Muslim women are exploring new ways of wearing the hijab, just so it feels right to them”, she says. With Hijab in Transition, Philomeen celebrates those who have defined their own parameters in regards to their identity – free from confines.